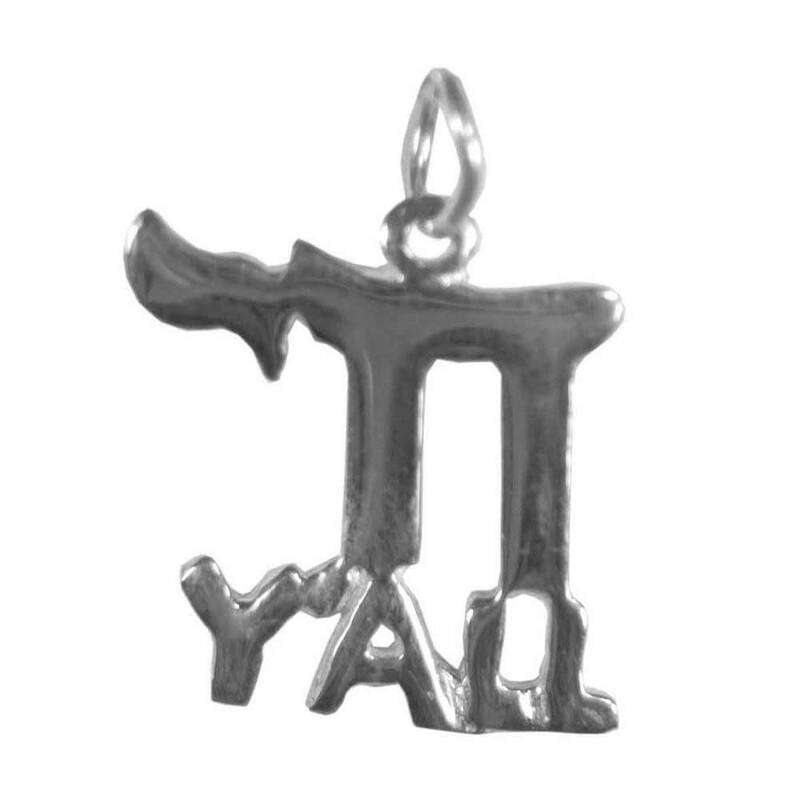 Give A "Shout Out" To Your Friends With This Fun Chai Y' All Pendant. The Sterling Silver Chai Pendant Is 9/16" Wide X 7/8" Tall. I bought this pendant as a gift for a young man for his bar mitzvah. He is a New England fella through and through, but his mother is from Tennessee and still has her beautiful lilting accent that sounds like music. I liked the witty combination of a traditional symbol with the nod to whimsy. The pendant is beautifully made and of excellent quality, important when you're giving it to a teenager. The finish is polished bright and the size is just right. Please note that it is only a pendant and does not include a chain. I paired it with a black leather cord and it looked great!